This chapter was brought to you by the Japtem Translation group. Group effort ftw. It was unusual for a Dwarf to beg to another dwarf to the extent of clinging to his legs. The moment Sculptor Weed walked into the Sculptor’s Guild, an astonishing event occurred. – You have started on the path of the Eternal Sculptor. Possible changes in some stat will occur when earnest attitude towards sculptures is displayed. To some extent, magnificent artistry would be helpful to accomplish high skills. Sculptors have formally stepped back into the world. Nobles and Royalty will hear of your name through the Sculptor’s Guild, and other Sculptors will have their competitive spirits kindled. The immeasurable imaginations and variability in expression; if one has the creativity, they are able to pioneer a new techniques to Sculpting. – Because of passion for sculptures, Art stat has increased by 100. – Charm has increased by 50. – The effect of skills related to sculpting has increased by 20%. – Cost for skills has been permanently reduced by 20%. He had sacrificed many benefits to pursue the path of a Sculptor. Weed was already standing at the zenith of the Sculptor profession. Since the sculpture he created garnered attention, it surprised the entire continent; in which he recieved abundant fame and glory. The Dwarves who gathered around trying to unveiled the secret of sculpting, grew silent. They were closely listening to the Dwarf Instructor, since it seemed like he would provide some information. The dwarves were thinking this, however they were eager to hear the Instructor’s words, so they stayed silent. Intuitively, Weed’s mouth began to speak words of praise. Weed was getting annoyed with the onlooking Dwarves. The characteristics of the Elven race. They despise using materials such as trees, rocks, and clay to create their sculptures. They despise using parts of nature [to artificially create sculpture, and labelled them negligible. The Elves hated Sculptors because they take the lives of trees and turn them into wood. Because of that reason, forests where Elves reside did not have a Sculptor’s Guild. Although most of Zahab’s sculptures in Rosenheim Kingdom were destroyed, there were significant number of collectors who kept his sculptures in storehouses, who now thrive from selling them. As with the religious shrines and the Tower of Warriors, the Tower of Magicians also preserved the products of the great masters, but the Dwarven Sculptor Kendellev did not leave any pieces for posterity. Even if it was just Kendellev’s descendants, Weed wanted to meet them somehow. The Dwarves were a race who had great pride in their equipment, protective gear, and artwork. – Sculptor Instructor Jorbid’s Request. An unbelievable story was disclosed in the Dwarven Sculptor’s Guild since antiquity. The Dwarves claim that there was a Sculptor who could craft fire and water, light and darkness, amongst them. However, others don’t believe this claim. The Elves’ insulting remarks echoed throughout the forest. Although their words were very degrading, the Dwarven race would not protest. For Dwarves to regain their pride, one would need to find traces of Dwarven Sculptor Kendellev’s work. Difficulty: Dwarven Sculptor Race Quest. Quest Limitations: Only available to Dwarven sculptors. If the quest should fail, Dwarves will receive the same hostile treatment from Humans as that of Elves. Bystanding Dwarves who were listening to the story tried to discouraged him. The Dwarves were trying to stop a Dwarf they had never seen before, and kept encouraging him to refuse the quest. However, there were also extremely curious. To be honest, it varied greatly. But because he and many others were curious about Kendellev, they were forced to accept the quest and investigate him. It was a racial quest; they accepted it because they thought there would be additional bonuses after succeeding, but there were many Dwarves who regretted accepting it. However, unlike before, he gave Weed more details and kindly explained. They carefully observed how his fame and intimacy as well as the difference in his sculpting skill changed the dialogue of the Instructor. – You have accepted the quest. As a means to show gratitude, the Instructor presented a carving of an Elf. The Dwarves who were beside him grew impatient. To be honest, they were anxious. Even if one considered the failure of the quest they accepted, it had been acknowledged as an insurmountable quest. However, since Weed accepted the quest, the Dwarves had an uneasy feeling that he would succeed. The vigilant Dwarves left together after receiving the quest from the Instructor because they all suspected that they would be left behind. Weed, making the most of this opportunity, left the Sculptor’s Guild. The Dwarven Village, Iron Hand was built along the rugged mountain peaks. Blacksmith stores and houses were built on an uneven surfaces, and the village square was made in the form of staircases. There were very few flat terrains to be found, and therefore they were very costly. There is no place like the village square for people to sell their unwanted goods and recruit teammates. Weed went to the corner of the square and started sculpting. The Dwarves were closely watching Weed. The users who accepted Kendellev’s quest were filled with regret. Weed was determined to solve the issue with this quest. Weed was sculpting, showing no intention of relocating. His marvelous skill allowed him to carve a circular block of wood by spinning it, as if it were an apple! Even after becoming a Dwarf, the unknown beings whispered in his ear. I’m sorry I ignored you up until now. Please hurry and sculpt me. Look at me; look at me and sculpt me, I say. Sculptors have always ignored our existence. Weak. Pathetic. Don’t you desire power? It might be because he was transformed as Dwarf using his sculpting skill, but the beings who muttered with alluring voices became more polite. They stopped cursing him after he displayed his skills in the Sculpting Guild, because of that, he sculpted with relief. While there weren’t many Dwarves with outstanding skills to choose from, there were many Warriors and Fighters. If a sculpture was smaller, there would be a greater probability of usefulness during a battle. In that case, he made a living making and selling sculptures, he sold them to the merchants who wanted to buy and sell, and to the tourists. For some Dwarves, sales came in different sum, while others walked away with their confidence crushed. The Dwarves who were watching got their hopes crushed and left. Although he started sculpting in order to elude the pursuers, Weed was overflowing with motivation. Compared to carving and selling sculptures in other villages and Kingdoms, the customer responses here were completely different. In order to show respect towards the Dwarven master craftsmen, they usually paid the asking price. He received different treatment from human villages. The Dwarven sculptures humorously transformed into the appearance of the guests, it was so popular, it sold like hot cakes. And the masterpieces he made prioritizing his inner feelings above all! – A fine piece! Dwarf boy was completed! A happy Dwarven boy wearing a hat. Although the sculpture does not have a childlike appearance, his lack of a beard tells you of his young age. Looking at the sculpture closely, in-depth sculpting artistry can be found. Because it is a work of a qualified Sculptor, 73. Luck stat increase by 7. – The effect of sculpting skills have increased in experience. – Fame has increase by 1. There are a few minor errors but the sculpture still came out as a fine piece. I think it is very well done for my standard, even beans can grow in the midst of a drought. But since walking down the path of the Eternal Sculptor, masterpieces are produced fairly frequently. Weed was satisfied with the end result. Not only did the Sculpting skill increase, but even the related skills would increase its effectiveness by 20%. Sculpting Blade skill increased by 20%, and Sculpture Transformation will become better at expressing racial characteristics. Weed was able to use the fast paced method he had learned from his illegal part-time job during his teenage years. 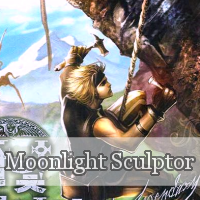 With approximately 45 masterpiece sculptures created, he could earn approximately 1,200 gold. It was petty cash compared to what other classes made, but with all his money invested in Morata even this small amount was precious! Weed made sculptures all night long. When morning came, the Dwarven Liberation Corp entered the town square. All are required to pay taxes for all commercial activity done in the square, if you do not pay the taxes required, you will be forcibly expelled. The Dwarven Liberation Corps ruled over all the guilds in Iron Hand! The Dwarven Liberation Corps increased the village’s tax rate by 35%, making it higher than any other villages. Most people agreed, that as a whole, the group did not fit their name. The Dwarven Liberation Corps ruled Thor Kingdom, including 8 guilds and other small villages. Every month the guild had to pay tribute to the Akryong (Evil Dragon) Kaybern in the form of goods. Thus the greedy dwarves could not become wealthy. Dwarves with Beginner Blacksmithing skill did not open their eyes to avoid the high taxes. Those with Intermediate skills tried to bluff their way stating that they were moving to another village. However, the Dwarven Liberation Group still had influenced over the village, forcing them to pay the taxes. Dwarves from the Liberation Group walk towards Weed. At the Dwarven Warrior’s threat, Weed had no choice but to pay the 20 gold. However, it was a relatively small price to pay if you compared it to the weapon craftsmans’ taxes of several hundred gold pieces. Gathering all of their income from taxes, the Dwarven Liberation Corps were very profitable. Inside the protection of the Akryong Kaybern, there was no need to maintain an army because neither monsters nor other Kingdoms dared to invade. There were occasional power struggles amongst the dwarves, which didn’t normally last very long, nor very catastrophic. The Dwarves were a race that was naturally hard to siege. The cities and villages were built on harsh terrain of mountains, which gave an overwhelming advantage to the defenders, and, without Magicians or Archers, they did not have the necessary resources to attack. The Kingdom of the Dwarves was a disappointment. Although it was their birthplace, those with a certain degree of skill scattered throughout the Versailles continent. Weed created a sculpture of two people who couldn’t stop squabbling. Herman had a profession as a Dwarven Blacksmith. At the sight of Weed making sculptures, he said. Weed could not helped but asked. The length of the beard, hair color, the shape of the jacket, and even to the size of the head differs according to the taste of the Dwarf. Even if other people have difficulty differentiating them, if one actually became acquainted with a Dwarf, it would be easy to tell them apart. So Herman said while gently stroking his beard. Weed had not been aware of the time for hours. Particularly among the Dwarven race, there were many older users. Production, and especially the ranking of the manufacturing fields, was usually thought of as boring and irritating by most energetic youths. Herman was an elderly user who was in his mid-40s. Both his son and daughter worked for another kingdom, as a soldier and gardener, respectively, stopping by to visit once every three to four months. Herman lived for the the joy of mending the weapons and armor he’d crafted for them whenever they stopped by. Besides Herman, there was a female user named Pin. The girl with the cute name was female of the Elven race! Unlike the extremely thin fairies, it was a female elf who had similar proportions to an adult human. Even though her job was a Shaman, when she travelled to the dwarven village, she settled down. To age her specialty; spirit wine. Offering spirit wine to the Earth in the Thor Kingdom doubled its effects. In order to properly age spirit wine and progress it past the Intermediate level, she had to pick a good and strong soil, offer it there, and stay put. Since Weed was in the plaza of the Iron Hand Village and sculpted for consecutive 20 hours, he became intimate with more villagers aside from the two users. Weed handed over the remaining mother-of-pearl cabinet he made beforehand. Although it was a bit overboard to say they were pure statues, they were only simple products. He was now able to make crafts that took a lot of skill. Since woodworking, metalworking, various cutting techniques, crafts, and other handiwork were all related to sculpting, it was an extremely exceptional display of practical skill. The mother-of-pearl cabinet must be detailed and comfortable to use. In that way, it required an artistic side and was not easy to make. The Dwarf paid his dues and left with his mother-of-pearl cabinet. Weed was satisfied with this transaction. As expensive as the mother-of-pearl cabinet was, he made it back cost and more. Weed was wrapping up all of the requests that the villagers had. While there were also cases of people requesting a special sculpture to be made, most were trivial requests. If the Dwarves had a piece that they coveted, they raced to make it themselves instead of entrusting it on others. However, the work that the Dwarven villagers requested did not give much rewards, fame, or intimacy. At his skill level, if he were to focused all of this attention on the production of an occasional irritating piece it would be easily completed! At that moment, a drunk Dwarf who was wearing a red vest walked down the path while searching for something. Weed found that the eyes of the figure shone brightly. There were no Dwarves in the village who knew about the Dwarven sculptor Kendellev. There would be no way the citizens of the Thor Kingdom would not conduct a search. They were… the ones who were here since the beginning and could not settle on a form. You, who loves sculpting, the place you have to go is the Kingdom of the small beings. There will be a place where the hugely stubborn beings will feel a great amount of pride. However, if for no other reason, this was the place that the Goddess Freya, told Weed to go to. Weed walked up and spoke to the drunken Dwarf. – Dwarf Dane Hand’s request. Because the lazy drunkard Dane Hand doesn’t turn in an iron ore to the forge within the designated time, he is always in trouble. Since the Dwarves greatly value honor, he will ask you to procure an ore in order to keep his promise, even it’s a somewhat unreasonable request. As Weed fulfilled the Dwarves’ requests, he had receive some ores as a reward. Dwarves generally did not give money, but ores and swords as rewards. – The quest has been accepted. Weed searched through his bag and pulled out 20 Grade 2 iron ores. -Dwarf Dane Hand’s quest completed. Dane Hand can now return the iron ores to the Blacksmith shop. Quest Reward: Please ask Dane Hand directly. The average price for a grade 2 iron ore is 1 gold 30 silver. While merchants might be able to get more than this through the market, it was an acceptable value to Weed. Weed disagreed with the price and shooked his head excessively. Dane Hand stroked his beard and became elated. Weed had received 26 gold for his Iron ores. After that, Dane Hand kindly said. Weed asked as if he was a Dwarf that did not know anything. Another Rank F question have appeared! It was a simple request. He had to bring the 20 Grade 2 Iron ores to Noble Hand’s Blacksmith shop. Weed accepted his request and rose up from his spot. Herman was playing and telling jokes, and then Pin turned around and asked. Herman shook hands with him. Weed bow slightly, kept his head down, and moved a step back. As Pin and Herman watched him walk off in the distance, they looked sadly upon each other. Herman spoke in a really low and quiet voice so that the other people in the square could not hear him. Herman and Pin got up from their seats. The Dwarves in the plaza looked at them briefly and soon averted their eyes. Pin shook her head and strongly denied. Whenever she shook her head, purple light unique to the elf became visible from the antennae in her hair.